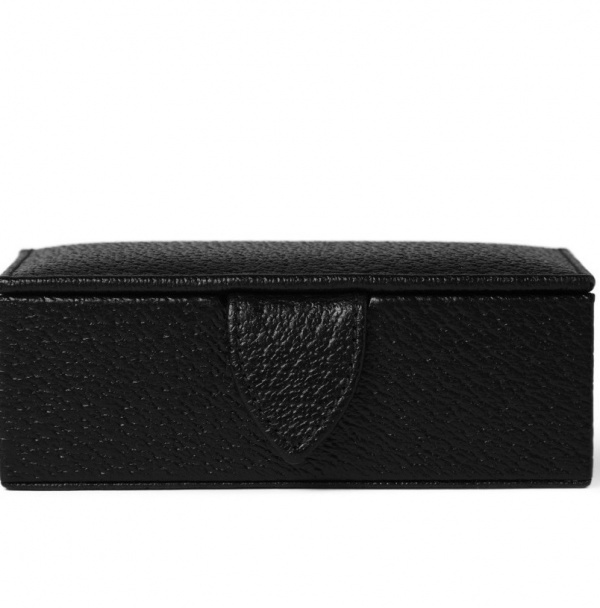 While this leather accessory box by Smythson is intended to be used to store cufflinks, it really can be utilized to house a wide variety of small goods. Got some collar stays laying around in your drawer(s)? Toss ‘em in here. 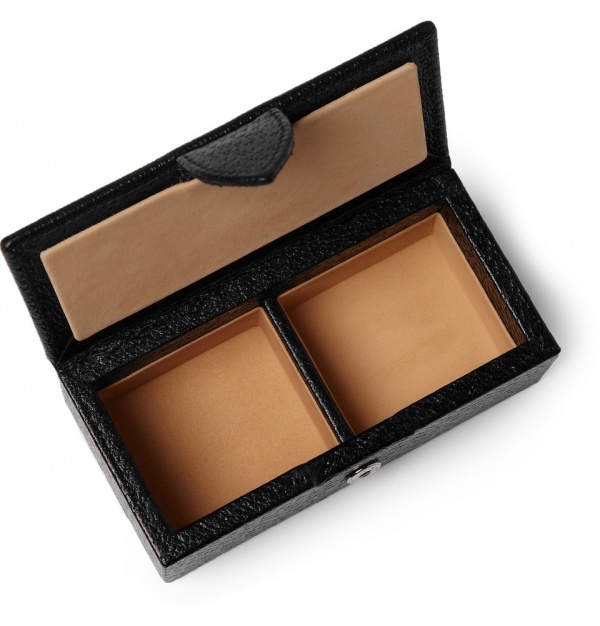 Need a place to put your tie clips in? Pop ‘em in the box. See, you get the idea. This would make a perfect gift. 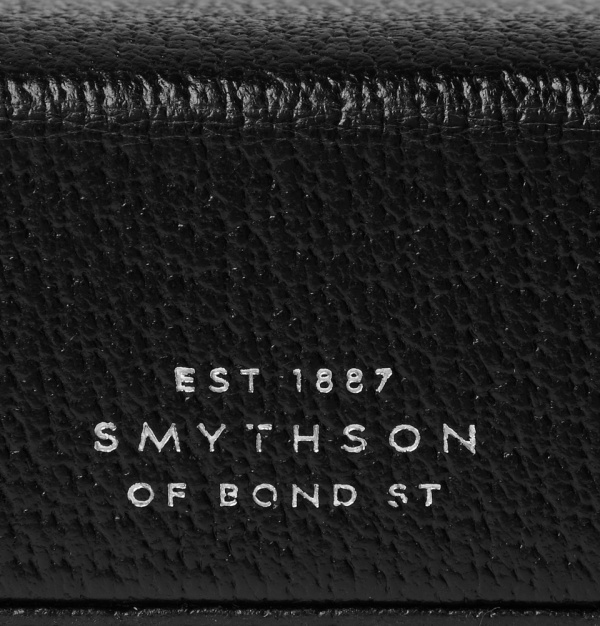 This entry was posted in Accessories, Misc, Uncategorized and tagged Smythson. Bookmark the permalink.